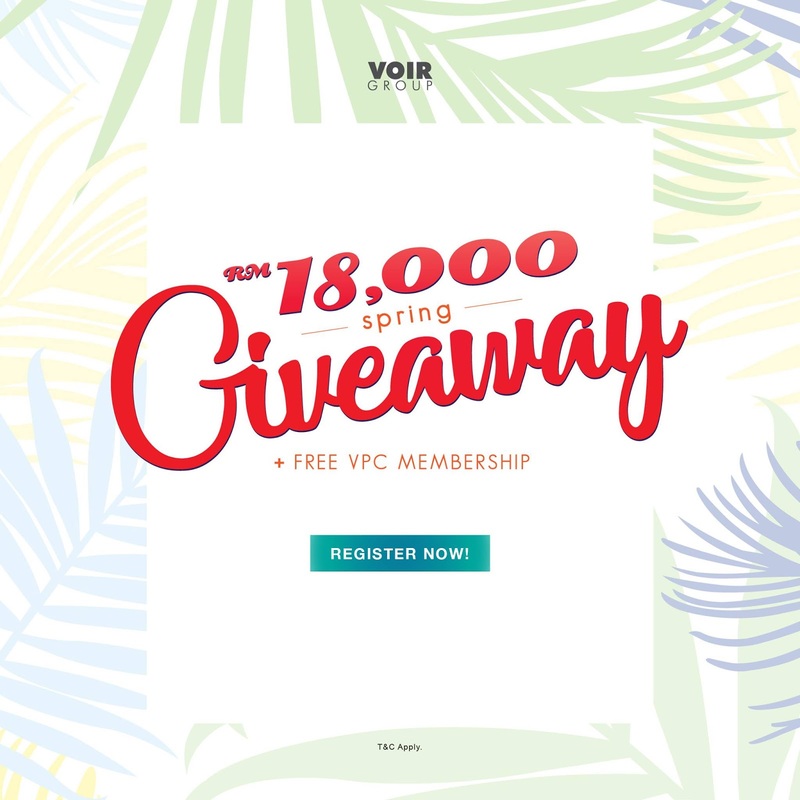 JOIN US & GRAB A FREE VOUCHER: We're giving away over RM18,000 worth of shopping vouchers and free VPC membership to our customers this spring! Simply enter by completing your details below and we'll be sending you a voucher worth RM10/RM20/RM50/RM100. Online registration only beginning from 28 March 2017. Get a Free VPC membership too for online registration. Voir Group now offers even better value with lower prices. Accordingly, member’s discount is discontinued effective August 1st, 2016. Your understanding of this matter is very much appreciated. The points can be accumulated at all times, for all brands and products under the company’s umbrella. 5% rebate for the purchases made above RM1000 within a calendar year. The vouchers will be issued when the points reach at least 500 points within a calendar year. Shop at our boutiques and enjoy the exclusive discounts and promotions for VPC members from time to time! Our exclusive birthday treat e-voucher will be sent to your registered mobile number during your birthday month, present the e-voucher at any of our boutiques and enjoy up to 20% discount for all your purchase! Fabulous Offers during VPC week! Enjoy up to 50% discount for our annual members event, VPC members Week! During the week, members are able to enjoy additional discounts and promotions on top of VPC discounts for all products, inclusive of the new arrivals! By submitting the form (the "Campaign") you agree to these terms and conditions. This Campaign is open to only Malaysian, aged 18 or over (excluding employees of the VOIR Group (the "Organizer"), their families, agencies or anyone else associated with this Campaign). To enter you must complete all data fields on the entry form with valid data. Entry forms will be available only online, offline submission will not be qualified. Please ensure all information are correct, strictly NO CHANGES is allowed after submission. Limited to only 1(ONE) entry per valid Malaysian IC & Email address. Existing VPC Member is allowed to enter; there will not be a VPC card to be issued. Voucher (the "Prize") will be issued randomly in RM10 or RM20 or RM50 or RM100 on first come first served basis via online registration form, the Campaign will be automatically closed once all vouchers are fully issued. A unique Voucher Code will be issued via email to all valid entry. All Voucher Code shall remains private and the Organizer will NOT be responsible for any lost or stolen code. 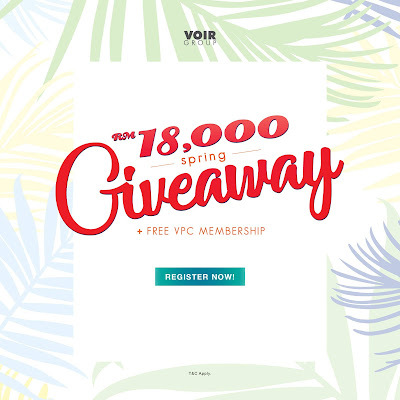 By submitting the entry, you are hereby understood and agreed to all the terms & conditions of the VOIR Privilege Card (the "VPC") membership program. The Organizer's decisions shall be final and binding in all respects on all entrants. No correspondence will be entered into. The Prize is non-transferable, non-refundable and non-negotiable. There is no cash alternative. The Organizer reserves the right to substitute the Prize (or any part thereof) for one of its choosing which has a value the same or greater than the original Prize in the event of circumstances outside of its control. Only one entry per person. Any person found to be sending multiple entries would be ineligible. The Organizer will not accept responsibility for network, computer, hardware or software failures of any kind, which may restrict or delay the sending or receipt of your entry. Entrant MUST present his or her original IC as per registered and stipulated on the email, strictly NO representative is allowed. Entrant MUST redeem the voucher at the pre-selected store location, as per submitted by the entrant, and stipulated on the confirmation email. Redemption period of the voucher is from 1st until 30th April 2017. Only 1(ONE) voucher will be accepted per transaction, for 1(ONE) time use only. Vouchers are valid only at pre-selected store as per submitted, stipulated on the email. Redemption is not valid at Voir Gallery Johor Premium Outlet and Voir Gallery A-Farmosa. Voucher is not valid for 3rd party brands. No valid for Soda belt, brief, socks & all accessories. Voucher codes must be entered at the checkout or payment over the cashier. By entering this Campaign, you agree that your details, including but not limited to your email address, may be used to keep you informed about promotions, products and news from the Organizer. By entering the Campaign, the entrant agrees to participate in such promotional activity and material as the Organizer may require. The Organizer reserves the right to cancel the purchase if purchase behavior by the customer is seen to be suspicious or potentially fraudulent. The Organizer reserves the right to (i) cancel this Campaign, (ii) cancel or refuse any individual's entry and (iii) amend these terms and conditions without prior notice.